Body sounds or utterances/Language without words. Those sounds are a big part of our expressions and responses in daily life. Both mental and physical responses as a reply in spoken language. 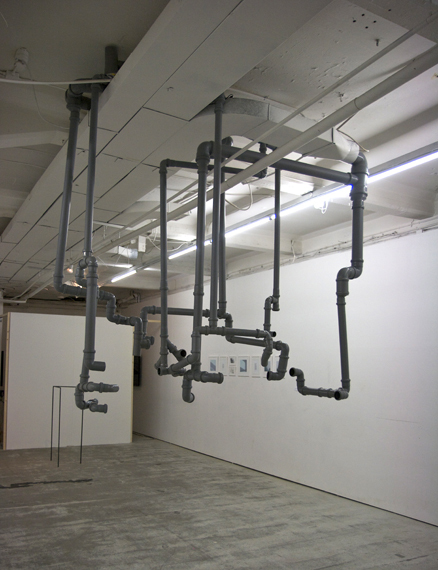 In this sound installation there are body sounds and utterances coming from the pipes. 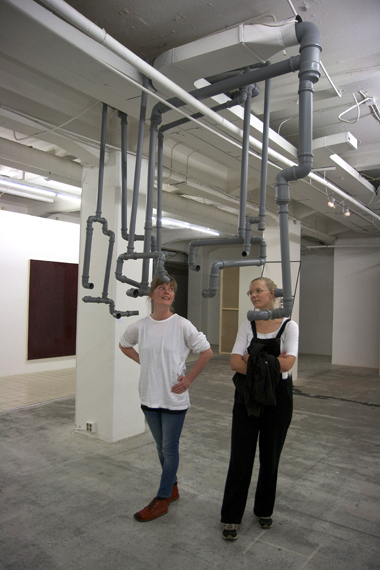 The viewer does not hear the same expressions from one position to the other. 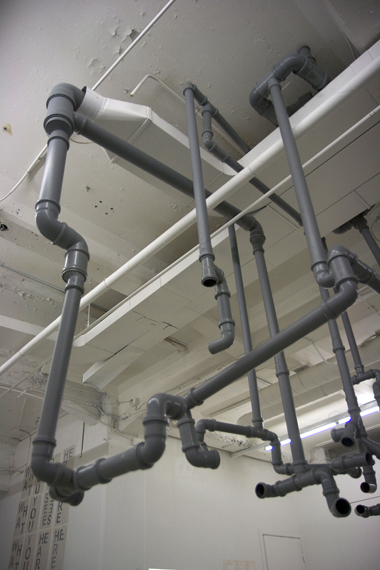 The sound is on many channels and from many directions, also connected to the air-condition, breathing through the pipes and adding air to the sound. Time & Location: The situation of (where, when, why and what) caused or created this utterance reaction or response is what crucial to the meaning. Utterance is an expression, response or a bodily reaction to a physical movement or an act. So if an utterance is taken out of it´s context, for example if it´s recorded an played again, it will loose the original context, meaning and purpose it had.